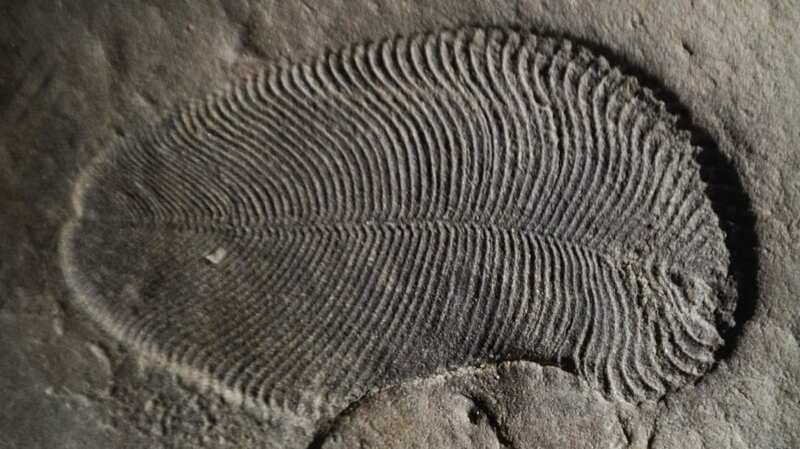 Lead senior researcher Associate Professor Jochen Brocks said the 'Cambrian explosion' was when complex animals and other macroscopic organisms – such as molluscs, worms, arthropods and sponges – began to dominate the fossil record. "Most rocks containing these fossils such as those from the Ediacara Hills in Australia have endured a lot of heat, a lot of pressure, and then they were weathered after that – these are the rocks that palaeontologists studied for many decades, which explained why they were stuck on the question of Dickinsonia's true identity." "I took a helicopter to reach this very remote part of the world – home to bears and mosquitoes – where I could find Dickinsonia fossils with organic matter still intact," Mr Bobrovskiy said.